In M&A transactions, buyers often assume that intellectual property (IP) rights will automatically transfer with the purchase or that any existing issues relating to the IP assets to be acquired can be cured by general representations and warranties. While getting strong representations and warranties covering IP is useful (and recommended), relying on remedies for breaches of IP-related representations and warranties can result in a failed deal or leave the buyer faced with unexpected scenarios after closing. If the target company’s IP rights are important to the deal (and they often are), then those rights must be investigated thoroughly during, and early on in, the due diligence process—in order to gain a comprehensive understanding of the IP assets being acquired and to properly ascertain the value of those assets. Failing to conduct a thorough and appropriate due diligence review of a target company’s IP prior to acquisition can lead to severely detrimental consequences. One of the most notable examples of this is Volkswagen’s acquisition of Rolls Royce, which has become somewhat of a cautionary tale. In 1998, Volkswagen purchased the assets of Rolls Royce Motor Cars for over $700 million. Unfortunately for Volkswagen, however, ownership of the Rolls Royce trademarks was not confirmed during the due diligence process. Volkswagen closed the deal, only to later discover that the purchased assets did not include the Rolls Royce trademarks—a valuable, if not critical, part of the assets Volkswagen thought it was acquiring. In fact, those trademarks were owned by BMW, pursuant to a prior agreement that Volkswagen had overlooked. As a result, Volkswagen was left with the necessary rights to manufacture the Rolls Royce automobile, but was ultimately forced (for a period of time, at least) to market the car under the Bentley brand. The target company may not own or have sufficient rights to transfer the IP assets to be acquired. ownership of the IP is shared among the target’s affiliates. Any of these scenarios will affect the value of the IP assets to be acquired and whether the acquisition is possible at all. Thus, it is critical that the IP due diligence process include a thorough search and review of all registrations for the target’s IP assets and their chain of title, any joint or co-ownership issues, any liens or other encumbrances on the IP assets, and all assignments of the IP assets, including confirmation of IP assignments by all employee, agent or independent contractor inventors. The target’s IP is subject to license or other agreements that restrict its use or transferability. In some cases, the IP assets to be acquired in an M&A transaction will be subject to certain contractual provisions that will either limit the buyer’s ability to exploit that IP as expected or prevent any transfer of the IP altogether. The following are the most common examples of scenarios that can lead to these unfortunate results. the license terms expressly prohibit assignment of the license to the buyer. It is therefore important to scrutinize all of the target company’s agreements pursuant to which an IP license is granted to or from a third party—focusing, in particular, on terms governing exclusivity, scope and fields of use, territorial limits, rights to enhancements and improvements, sublicense rights, and assignability. Third-party claims may prevent or limit exploitation of the target’s IP assets. There exist various types of third-party claims that may create significant barriers to a buyer’s exploitation of acquired IP assets to the expansion of the target’s business as planned. The scenario no buyer wants to face following an M&A transaction’s closing is the discovery that, along with the IP assets, the buyer has acquired an expensive litigation or other proceeding involving claims that the acquired technology infringes a third-party right or that the acquired IP assets are invalid (e.g., due to “prior art”). These proceedings can be devastating in and of themselves, in terms of both cost and the company time and resources they can require. But, further, they may result in the buyer’s being precluded from exploiting the acquired IP assets as expected. It is therefore critical to identify any pending or threatened infringement or invalidity claims involving the target’s IP, and to do so early on in the negotiation. But what about potential infringement or invalidity claims that may be lurking around the corner? Though no proceedings have yet commenced or been threatened, there may still exist certain third-party rights or allegations that would ultimately block the buyer’s ability to exploit the target’s IP. Therefore, a thorough analysis of the buyer’s freedom to operate, consistent with the buyer’s operations and future plans involving the IP to be acquired, should be conducted before completing the transaction. A freedom-to-operate analysis will not uncover all potential risks, however. For example, certain third-party blocking rights may not be discoverable, or may not exist altogether, prior to the deal’s closing. These include unpublished patent rights or any reverse engineering or independent discovery by competitors of technology the target company had protected only through trade secrets. It is therefore important to consider the impact of potential risks that may not be identified in a freedom-to-operate analysis, taking into account the relevant industry, the technology underlying the IP assets to be acquired, and the target’s policies and efforts relating to protection of its trade secrets. The target company’s technology may incorporate certain open source software components. Another key IP-related consideration in M&A transactions is the use of open source software in the development of target company’s IP, which may lead to certain unexpected issues relating to ownership and licensing of the acquired IP assets, as well as compliance issues with respect to governing open source license terms. Open source licenses typically require that any technology incorporating the licensed open source software is made generally available for free use by third parties under the same terms as the open source license. If the buyer is expecting to use the target company’s technology exclusively, then discovering that the technology incorporates open source software that is subject to such free-use rights could ultimately be a deal breaker. It is therefore critical that the buyer understand whether, and the extent to which, any open source software has been used in the development of the target’s IP assets to be acquired. And all terms of the governing open source licenses must be given thorough review and consideration during the IP due diligence process. representations and warranties that take into account all IP-related risks discovered during due diligence, and the target’s indemnification obligations for any breach of those representations and warranties. In sum, IP due diligence in M&A transactions can lead to a reevaluation, restructuring, or repricing of the transaction as initially proposed. 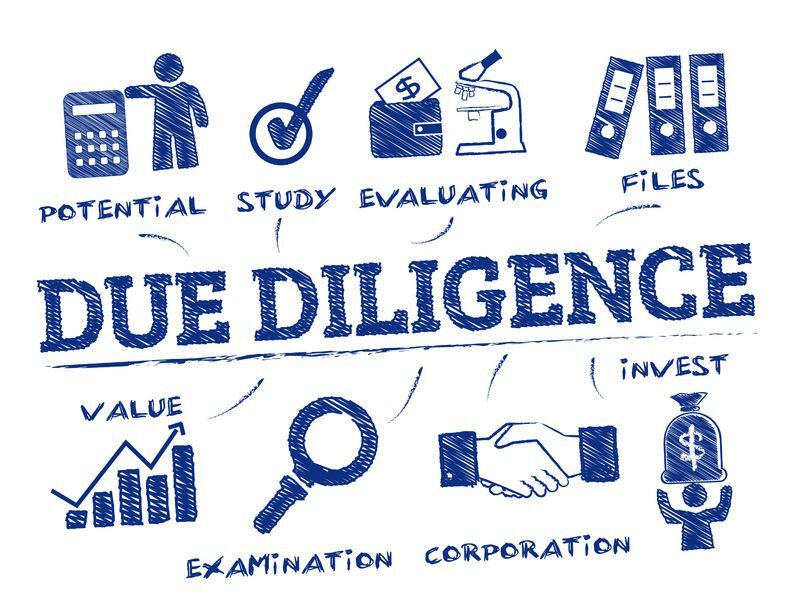 It is therefore essential that the IP due diligence review is comprehensive, thorough, and conducted early on in the deal. Founders’ Friday is a series published by attorney Brian A. Hall of Traverse Legal, PLC d/b/a Hall Law dedicated to legal considerations facing founders and start-ups. This week’s post contributed, in part, by Lia Smith.